Designed for use with the Etcon DD1 (Cat. 5) or the DD3 (Cat.5e). The most efficient 110 phone distribution block on the market. Allows up to 96 stations or phone home runs (24 for each incoming line) with additional phone block. 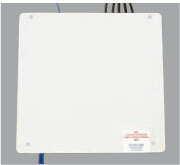 Capabilities for 8 Video Outputs (5-2050mhz). 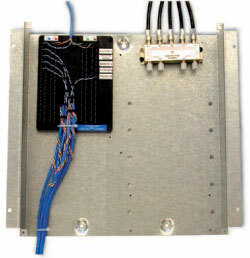 Custom Enclosure has open top and bottom for easy wiring and can be surface or flush mounted. Keyhole cover for quick and easy access. Enclosure designed with extra positions to accommodate additional modules making it completely upgradable for future requirements. Dimensions 14.25" x 15" x 3.5". DD5E INCLUDES: DD3, X8 (8 WAY SPLITTER), ENCLOSURE AND COVER.